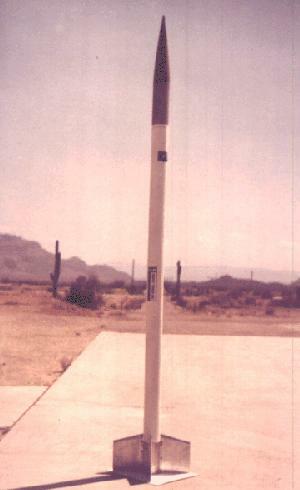 The Raven sounding rocket was developed in 1963 under a contract from the U.S. Navy's Office of Naval Research (ONR), which had a requirement for a simple vehicle to carry a 4.5 kg (10 lb) meteorological payload to 60 km (200000 ft) altitude. Rocket Power Inc. (RPI) developed the Hopi IV solid-fueled rocket motor for this purpose. The distinguishing feature of the Raven was its acceleration to 180 m/s (600 fps) within the first second of flight, which made it less sensitive to high winds when compared to similar small sounding rockets. The rocket was tested by the ONR at White Sands Missile Range. A total of 70 Raven rockets were ordered from RPI, of which at least 25 were launched with mixed success. 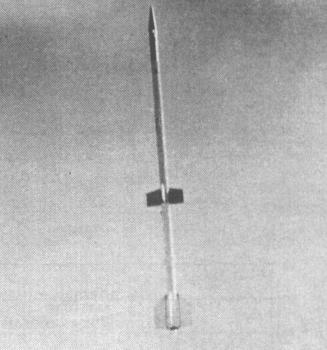 In late 1963, the U.S. Army Electronics Research Lab expressed an interest in a two-stage meteorological sounding rocket with a performance which could be met by a Raven boosted by the motor of a Sidewinder missile. The Army subsequently ordered 20 of the rockets from RPI. At least two (and likely more) were launched, but the Sidewinder-Raven was not selected for regular use.